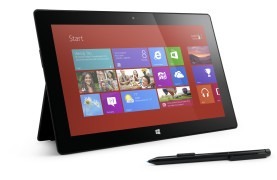 Working With Windows 8–Whats The Big Deal ? People often ask if Auto Shop Writer is compatible with Windows 8, and especially with tablet computers.The answer is simply YES ! Auto Shop Writer works very well with Windows 8 ( Pro ), and it also works appropriately on touch screens. So what does that mean exactly, and why is it important ? With the release of Windows 8, Microsoft did what no other company has accomplished. They provided a structure that spans the full spectrum of technology, including Servers, Desktops, Notebooks, Tablets, Smart Phones, and even gaming devices ( xBox ). Essentially, if you can use one of those devices you can use them all because the operating system is consistent across all of them. That’s nice, but what does it mean for the business owner ? It is significant because all of your devices will now work seamlessly with each other. Of course we love the addition of the new Windows 8 tablets because it will make life more personal for shop service writers, inventory control staff, and even managers. Simply grab the tablet, walk to the vehicle ( or stock area ), do your work while chatting with your client, and never break to “work on the computer”. Because Windows 8 tablets are actually full computers ( unlike the other brands which just run limited capability apps ), and they stay intouch with your data through your local wireless network. Of course, if you use a docking station for the tablet, and that connects to a large screen monitor plus a mouse and keyboard, you now have a “full sized” workstation when the tablet is back on the desk charging. The other benefit to Windows 8 is the new philosophy Microsoft adapted. They aggressively seek input from clients and developers, and apply those results to ongoing enhancements to the system. These are released weekly so the millions of users will not have to wait for long periods of time to get bug fixes, or important modifications. There is a lot more and we’ll discuss other benefits in the near future. If you are using Auto Shop Writer and want to add a tablet, feel free to call us for specific information on what’s good, and what’s not. 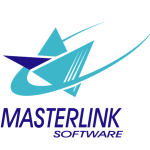 At MasterLink Software, we want you to have the most frustration free technology you can find. We do check out the options, and talk with the pros, so we’d be happy to share our findings with you. Call us at (949) 589-3186 today.